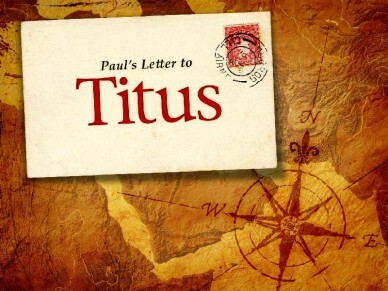 Just imagine the power Paul could have exerted in today’s climate of church planting. He could go from one major metropolis to another establishing mega-churches in each place due to his popularity and influence. Instead, he was stuck with the very primitive means of allowing the Holy Spirit to do His work among the people. Seriously, though, is there a pattern here that we should follow? However, is it not also possible that the way things are done today is the way they should be done, as we have been doing over the millennia? Firstly, this was the beginning stages of the Church. The gospel was being preached in areas where there was no gospel witness, or sometimes, not even an awareness of God. When the gospel takes hold, a church is born. When a church is born, leadership becomes necessary. I do not think there is a rule against leadership going into an area and trying to establish a church. The point, however, is about the selection of leadership. One argument against that concept is to impose what we see today on the church of that time. Without going into a long dissertation as to the design and function of the early church, I will simply give just two passages of scripture to show how they functioned. Acts 4:32-35 shows that the growing church was still “of one heart and one soul” functioning together with love for one another. The reality, then, is that there was only one church in one city governed by more than one pastor. Secondly, in trying to allow for the way things are done today, how did we ever come up with the idea of having only one pastor over a congregation? The Protestant Reformation has yet to be able to extricate itself from the abuses it so loudly leveled against the Roman Catholic Church, one of which was the papacy. A singular pastor over a congregation is simply a pope over a group of people, and is not in accord with a biblical foundation, which most evangelical protestant churches say they desire and follow. The singular word “pastor” only occurs one time in the entire Bible in Jer. 17:16 where he rightfully refers to himself. The only place the word shows up in the NT is also in the plural in Eph. 4:11. The word translated ‘pastors’ is used 17 other times and is translated ‘shepherd(s)’. Of course, any of these could be twisted to mean that God was speaking to all the individual pastors of the individual churches collectively. But, the biblical record proves such is not the case, if we want to take the Bible as our standard rather than the tradition of men. History shows that it was not long after John, the last of the apostles, died, that men began to leave off the practice of plurality in favor of the exercise of a singular leader. This practice has continued to today with few exceptions. Why is it that with the word “pastor” showing up only once in the NT, we have elevated that position to such a place that it has now become the sine qua non of a church’s existence?